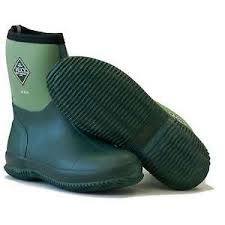 A versatile above-ankle boot, the Ribble Scrub is lightweight, convenient and quick to take on and off. 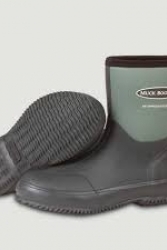 Other features include: a removable 'Nitrocel' footbed for additional insulation and cushioning; an anti-shock heel made from MuckBoot's own 'Absorb' open cell polymer; a double-terry moisture-control lining to wick moisture from the foot to increase comfort, cooling and general foot health; a kick-rim to allow boots to be kicked off without damage; and a rubber Achilles protector to shield the wearer from blows to the back of the ankle. 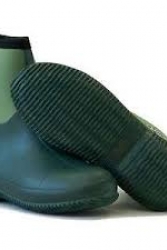 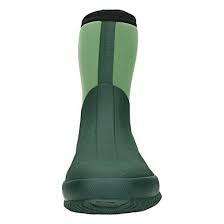 It is perfect for gardening and in vehicles when general purpose wellingtons are to cumbersome, to & from the farm yard. 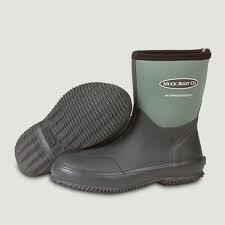 MuckBoots also give outstanding warmth, comfort and support and will stretch to fit almost any calf size. 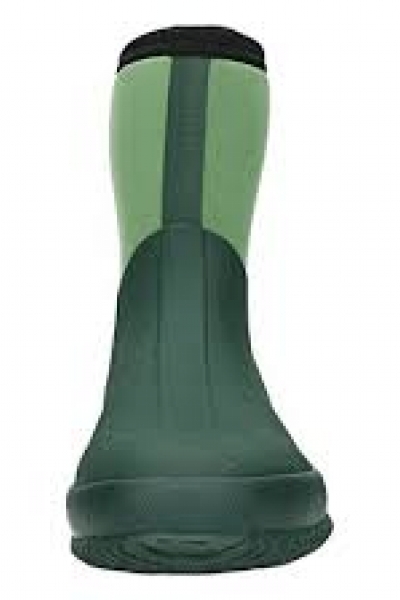 Please note this is not a general purpose wellington boot.